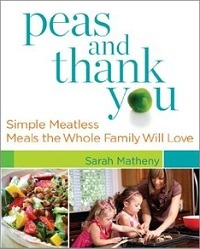 Peas and Thank You: Simple Meatless Meals the Whole Family Will Love is not a cookbook that is geared towards sneaking vegetables into foods so that your kids will eat them. It is a cookbook that supports the idea that meatless meals can be a healthy addition to the weekly (or daily) diet of you and your whole family. The cookbook, based on a blog of the same name, is an acessible work full of beautiful photos that should inspire you not only to do a little more cooking, but to try new recipes and techniques in the kitchen. It’s a recipe for good food and more family time, as you can bring everyone together to help make dinner as well as to eat it. The cookbook is vegetarian, with a lot of vegan recipes or suggestions to make the recipes vegan if they’re not already. Unlike some vegan cookbooks where you’ll find faux meat and cheese products in most of the recipes stand on their own as good vegetarian dishes and not approximations of something else. There are lots of healthy ingredients and flavorful spices coming together to make great dishes. Some of the recipes do call for meatless “meat” products, like sausages, and you can either find those products in your local market, leave them out entirely or even substitute in actual meat here and there if you’re not a strict vegetarian yourself. The recipes are personal and accessible, so the book is easy to read and easy to cook from. 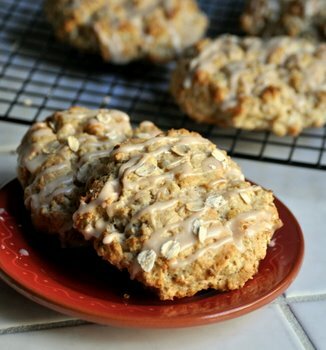 The book also features a lot of baked goods, which is something that makes it stand out to me from other books on a similar topic, as many of them overlook the tasty baked goods that can be a part of breakfast, snacks and dessert. There are recipes for biscuits and whole wheat pizza crust, as well as granola bars, cookies, ice cream and other sweet treats. 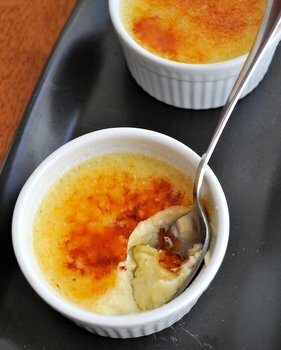 Again, these recipes are vegan (with nonvegan substitutions if you tend to have organic milk in the fridge rather than soy, for instance), but the recipes are very well tested and produce high quality treats where you’re not going to miss out on butter and eggs. I recently bought this book and love it. Not only is it a good read, the recipes are accessible and easy to follow. So far I’ve loved everything I’ve cooked or baked from here. We eat less meat than the average North American family but we are by no means vegans or vegetarians. Honestly, peas are my number one. I honestly could just have a bowl of it everyday with just some olive oil and salt. Even though it will probably not be all peas, the title does ignite some excitement in me (and I’m a happy meat eater!). I can’t wait to share this with my boyfriend’s vegan and vegetarian sisters! She loves new ideas without meat!